Even at this low price all of our Hantek products are shipped for FREE and supported from the United States. The handheld Hantek DSO1062B ScopeMeter provides exceptional waveform viewing and measurements in an affordable, compact, lightweight package. Like all Hantek oscilloscopes, it's loaded with standard features including USB interfacing and control, 32 automatic measurements, built in waveform math function including add, subtract, multiply, and divide. 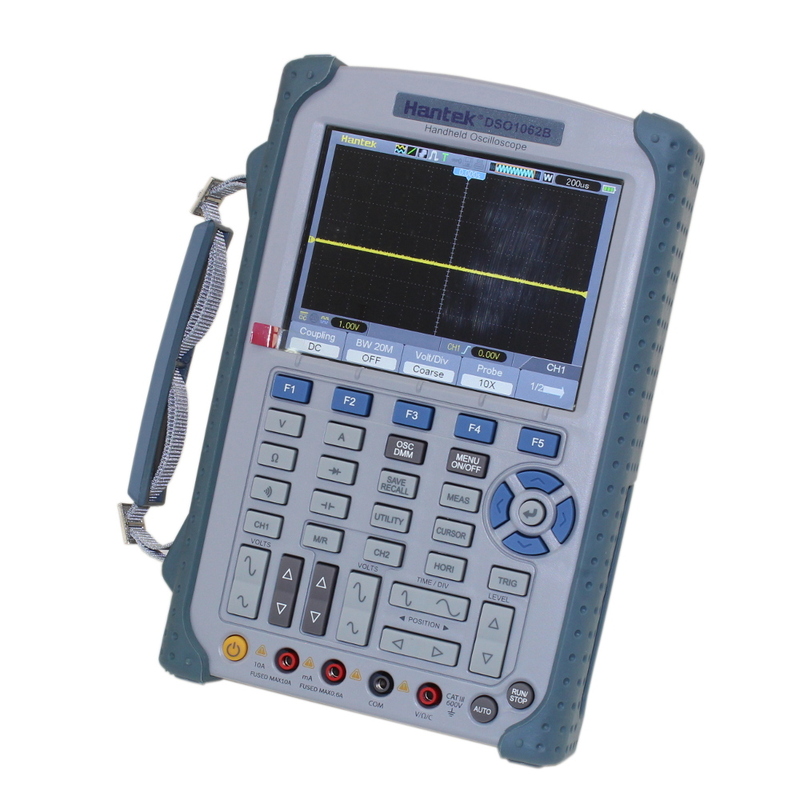 With 60MHz of bandwidth and a 1Gig/S sample rate, no other handheld oscilloscope offers as much bandwidth and as high a sample rate for the price. Hantek provides realtime square wave output to allow you to easily adjust your probes for accurate, repeatable measurements. This oscilloscope also features a clear, detailed 5.6" color TFT display at a resolution of 640 by 480 pixels that includes Hantek's on screen "Help" system which makes getting used to the capabilities of the Hantek DSO1062B a snap. The Hantek DSO1062B Handheld ScopeMeter is ideal for portable production testing, field service, research, design, education and training. 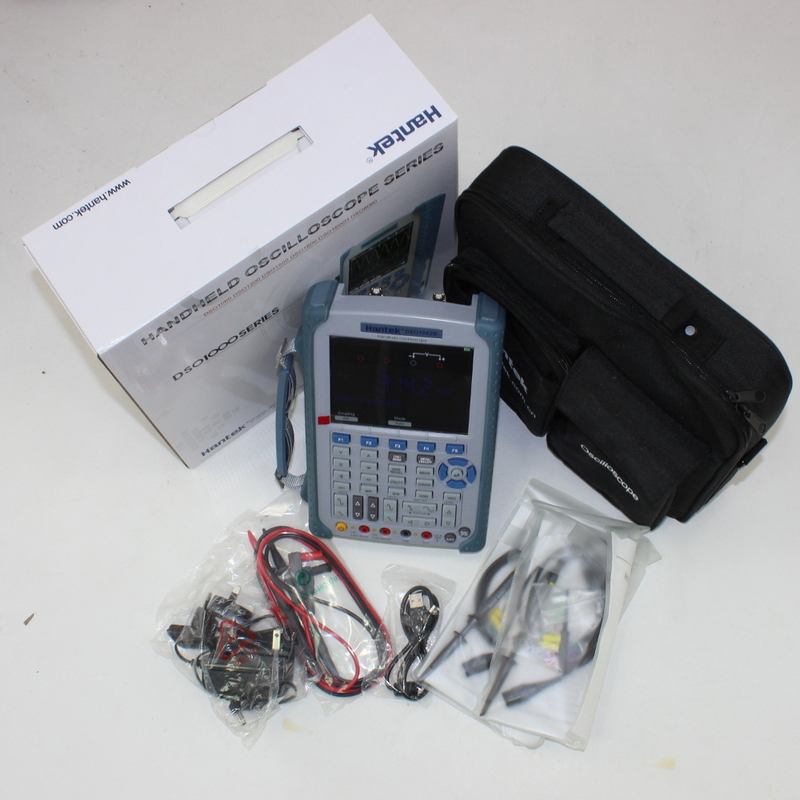 The Hantek DSO1062B Series handheld, portable oscilloscope has a number of useful functions for field diagnosis and measurement such as one-touch, automatic setup which optimizes the position, range, timebase, and triggering to assure a stable display of virtually any input waveform. 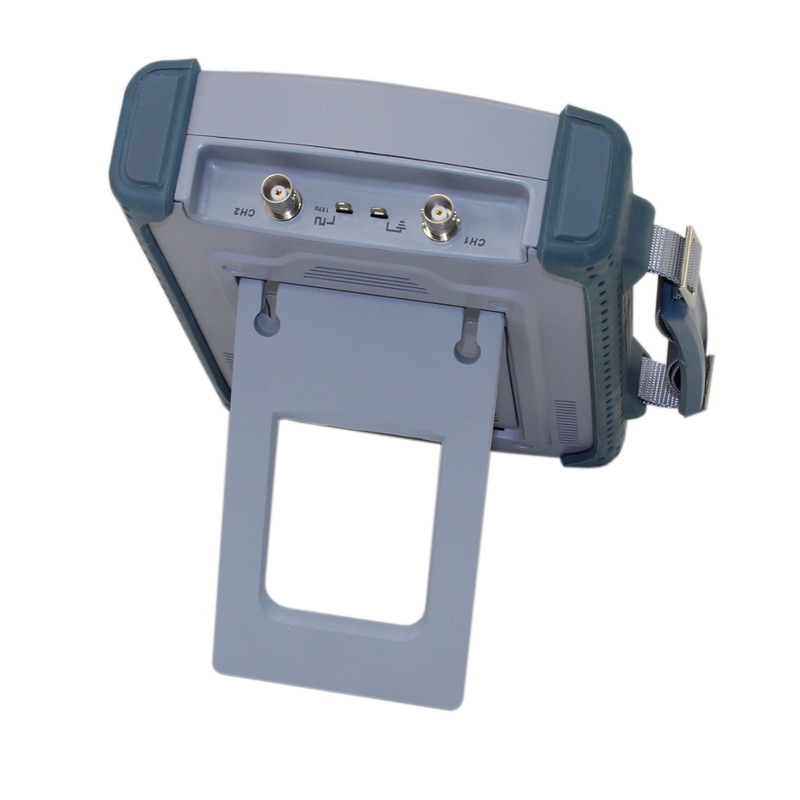 It also has the ability to capture, record and replay waveforms in its on-board 1000 frame memory. Once captured you can use the DSO1062B's Pass/Fail function to to compare an unknown inputted waveform to a stored one. 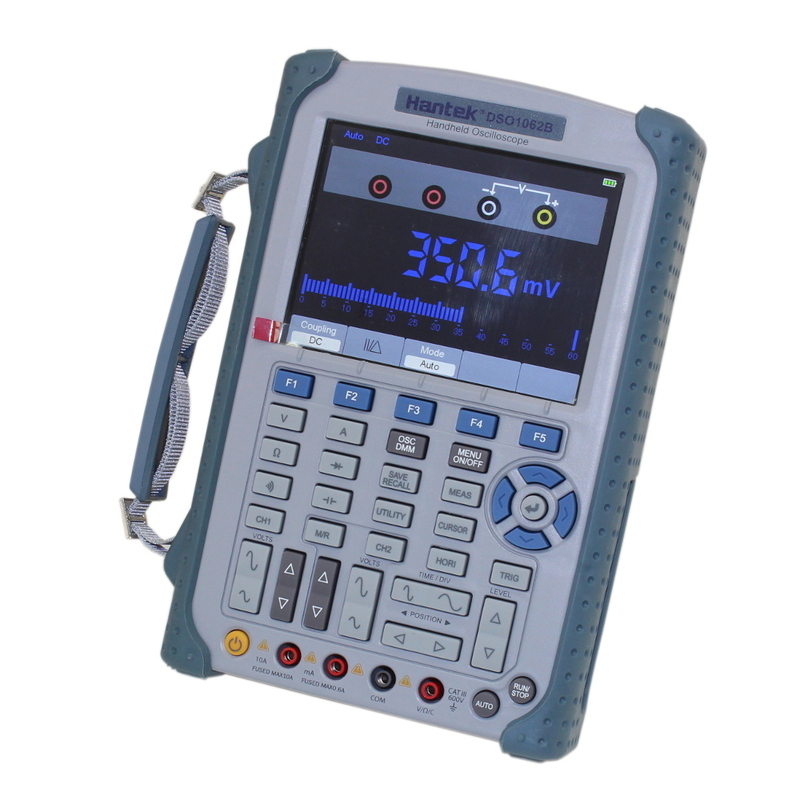 With its built in intuitive menus and easy-to-operate shortcut buttons you can access functions and quickly during measurements, saving time in the field and bringing the power of a full size bench oscilloscope almost anywhere. 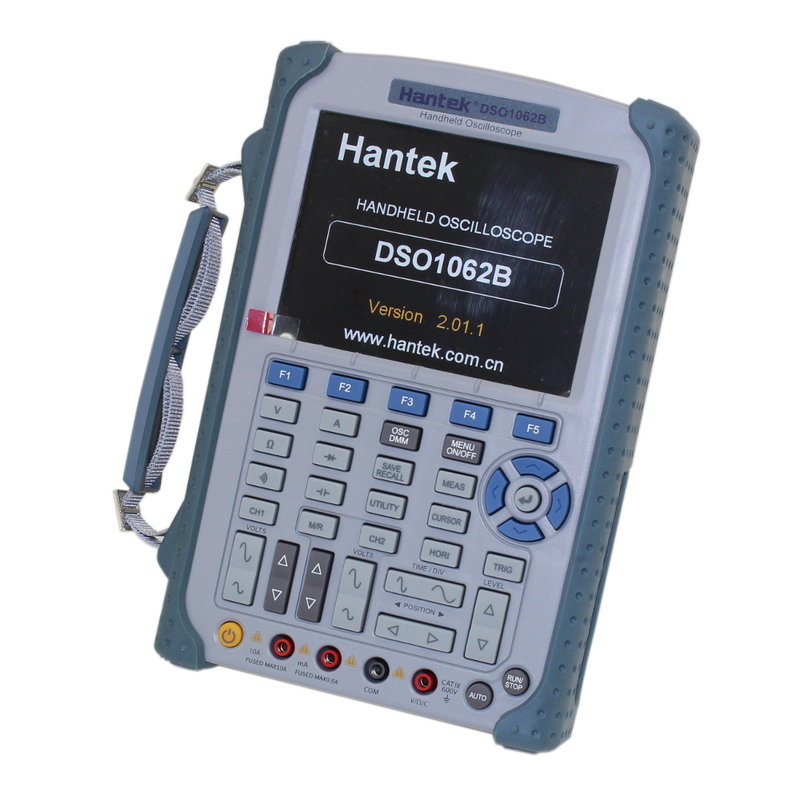 For more information, refer to the Hantek DSO1062B Owners Manual. 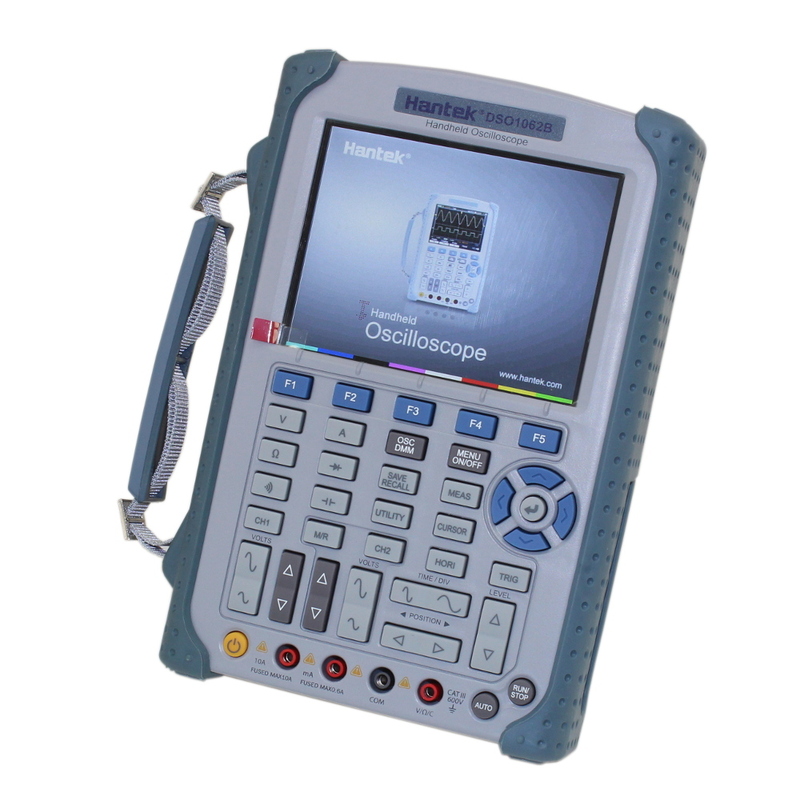 Head over to the CSI Blog to learn about using a USB Flash Drive with the Hantek 1000 Series Oscilloscope.